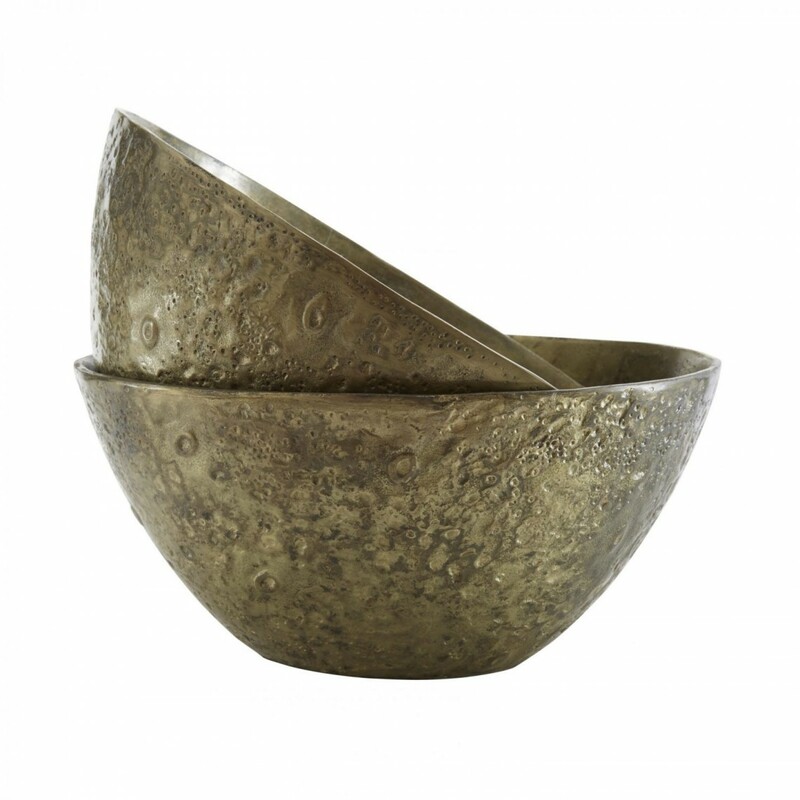 This wonderful Andrew Martin artwork, a Pair of Bowls sculpture are antique brass finished and have a wonderful hammered metal texture. Handcrafted in India each piece is totally unique. The most simplistic sculptural statement that would complement any interior beautifully. Objet of this kind play a hugely significant role in bringing life and character to your interior. Mix them with books and photos and other artwork to create real impact. Or perhaps place them upon other statement furniture such as the Bamileke Stool. For more inspiration on creating great shelving read our feature here.